My travel services are personal, and focus on places that I visit and fish regularly. Therefore, I always have information that is first-hand and current. 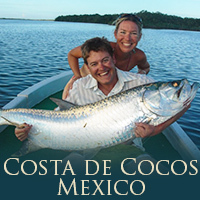 I am affiliated with several top lodges and outfitters in the Caribbean and Great Lakes – including El Pescador in Belize, which was voted by Forbes Traveler Magazine as one of top luxury resorts in the Caribbean. I also help arrange many affordable (yet high-quality) trips for budget-conscious travelers. All of my Destination Travel trips can be customized to meet the needs of your party. 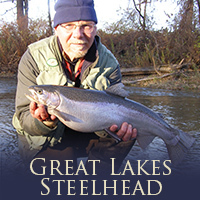 This year’s steelhead trip will focus on wading the Lake Erie and Lake Ontario tributaries within 50 miles of Buffalo New York. 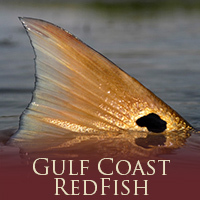 Early November usually provides excellent opportunities for fresh fish, and good weather and water conditions. If you’d like more information, please call or email me anytime. I also do trip planning, so if these dates don’t work for you, I can also work up a trip plan which will outline places that will allow you to catch fish on your own. 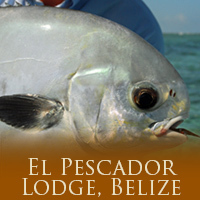 El Pescador Lodge is located less than 100 steps from the warm, turquoise waters of the Caribbean Sea. It is a world-class flats fishing destination where anglers have a legitimate shot at the big-three (bonefish, tarpon and permit) on almost every trip. Non-anglers have an equally impressive menu of activities (kayaking, snorkeling / diving, bird-watching, etc.) to choose from. That’s why El Pescador is a very special place that the entire family can truly enjoy. The dates of this trip and number of days can be adjusted according to your group’s wishes, as long as we go sometime between mid-February and mid-March.